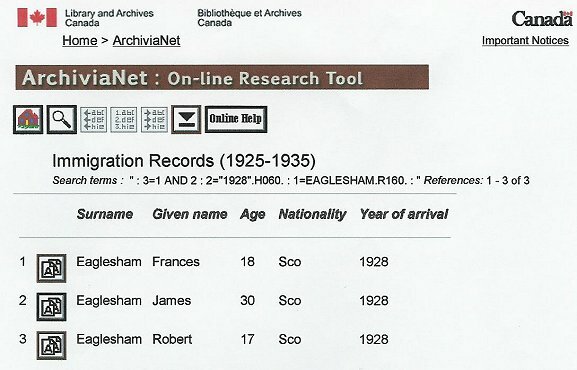 I found relatives in Canada through the family notices posted on the Maybole web site. 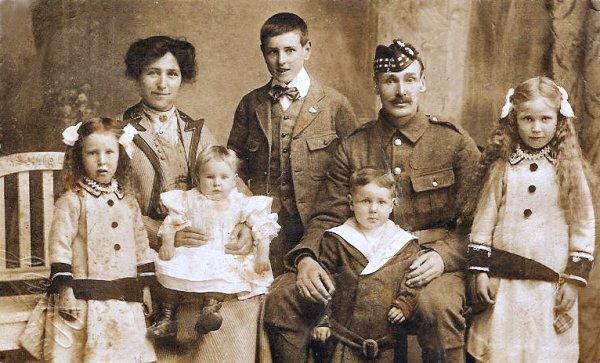 Replying to a message regarding information on the Eaglesham family I was fortunate to find no fewer than three cousins and an uncle and aunt with whom the Scottish side had lost touch after my mother died. 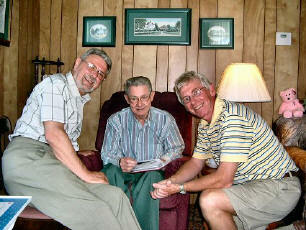 Through my new found cousin Harry I was able to take part by proxy in my uncle and aunts 'Diamond Wedding' celebration on 10th June 2004 and in June this year my wife, Christine, and I flew to Toronto and we were able to meet up with two of my cousins and my uncle and aunt for the first time. 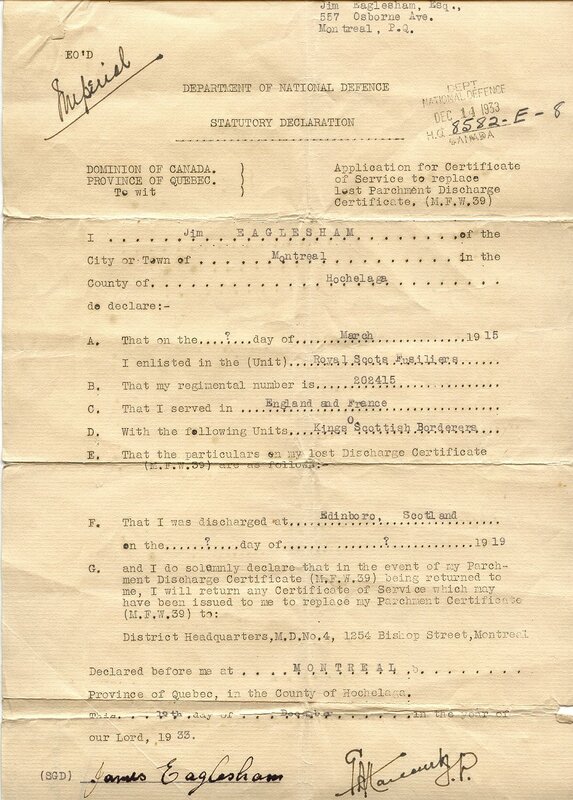 Uncle Jack (Jackie) left Maybole (Auchenwynd) with the family at the ripe old age of six and arrived in Quebec aboard the White Star liner Laurentic on 19/10/1929. He has never been back but remembers a wee burn that ran at the back of the small holding. I sent pictures of Auchenwynd (see below) that Bill McCubbin and my dad took many years ago to my uncle Jackie in Picton. He replied - Pictures received many thanks. 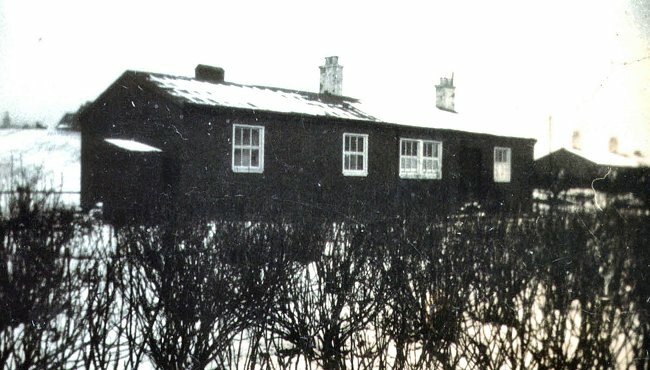 It brings back wonderful memories which I have never forgotten and never will...of the old homestead ...many thanks again...will savour them forever ....Regards Josie Heather Jack. We are grateful for the web site bringing us together and the help with our family research. 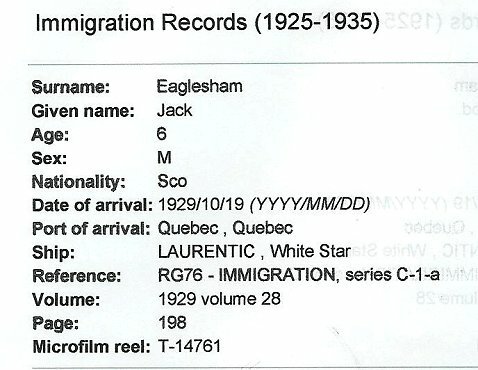 Included (below) are Jacks landing record and the rest of his family plus I presume other near relatives who all left for Canada about the same time. Click on the photos of Auchenwynd below to view full size. 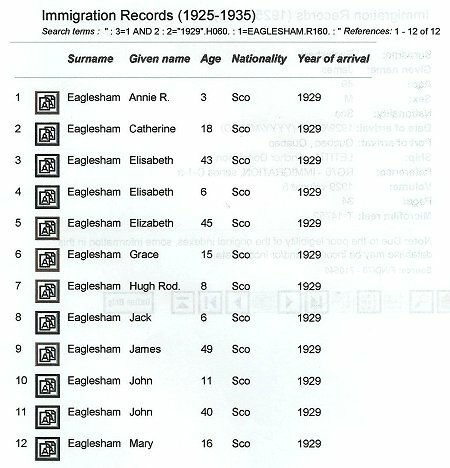 Old photo of Auchenwynd and family records of immigration to Canada. 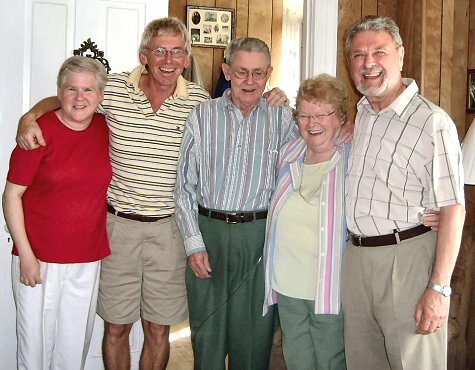 Click on the images to view full size.